According to reports, German carmaker Audi had bought Ducati for around $1.12 billion in 2012 through its Italian subsidiary Lamborghini. The Bologna-headquartered superbike maker comes under the mammoth Volkswagen Group. 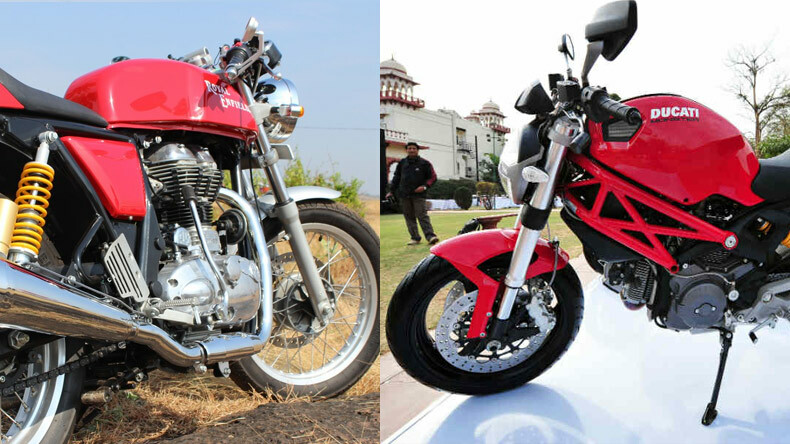 According to sources, Eicher Motors Ltd, the maker of Royal Enfield classic motorbikes was approached by the Volkswagen to acquire Ducati. One of the most loved Indian two-wheeler brands, Royal Enfield is currently making the headlines — not only because of its two newly launched colours — as it is set to make the binding takeover bid of Ducati for $1.8 billion-$2 billion. The Italian motorcycle manufacturer, Ducati, is owned by German auto conglomerate, Volkswagen. As per reports, the parent company of Royal Enfield is currently structuring terms with global banks and other consulting companies over the bid. The deadline of the bid is at the end of this month. The idea of putting up Ducati at the market came in after German auto conglomerate, Volkswagen, faced a huge setback in ‘Diesel gate scandal’. The automaker had started to consider options for the funding of its multi-billion Euro shift to develop electric vehicles. Royal Enfield has left no stone unturned and is expanding aggressively in the market overseas and now Royal Enfield leads the global race of the most profitable automobile brands in the world defeating many famous names in the list. During May this year, Royal Enfield which has the market capitalisation of about Rs 52K cr, claimed a market share of over 95% in its segment.